Hi Tobias, what does your job involve? My job is about being on top of all aspects around launching a new product. This can be a complex task, especially when it involves two brands based on a completely new technology. It is my role to structure and coordinate all activities to prepare the brand itself, the market, and our company to successfully introduce the new products. In my role, I work across several functions of Bayer HealthCare Animal Health, partnering closely with global and country colleagues from Research & Development, Product Supply, Regulatory, Communications, Marketing and Sales. In total more than 50 colleagues around the globe are involved in launch preparation activities. What are some of your current challenges? We just returned from the US, where we launched our innovative products very recently. As this was the first launch country globally, we all have been very excited and are happy to see the first positive customer reactions. Prior to launch we had to set up our launch and brand plans, define prices for our products in this first market, get our communications materials in place and ensure that products are ready to be shipped to our customers. Throughout the preparation process, I worked very closely with our US Marketing and Sales colleagues. We had almost daily calls, regular launch team meetings and recently, I spent 3 weeks in the US to support our launch preparation activities locally. Our US colleagues did a great job with this launch and as the products are now on the market, our focus is to use learnings from the team and the customers for our next launch countries. Further to supporting of our first launch country, I also ensure that we consider all other countries in our launch road map. I have onboarding calls to inform the local colleagues on the product details. It is important for the team to have a good understanding of the local market to determine if there is potential for the product. Once this is identified, we continue to work with the colleagues to ascertain the country-specific registration requirements and develop a launch preparation road map. The registration processes differ significantly from country to country, and it can take anything from 6 months to many years before a veterinary product can be available to the market. This is just one of the many local differences, that make planning a global launch a very interesting challenge. 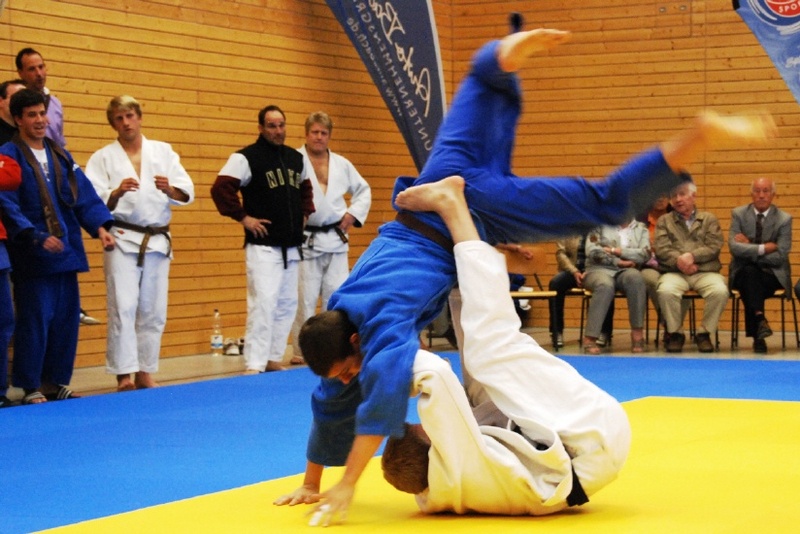 I first got in touch with Bayer as a student when I was fighting for the Bayer Leverkusen judo team. The relationship with Bayer got even closer when I joined Bayer Business Consulting upon obtaining my Diploma in Business Administration from the University of Cologne, Germany. After having spent parts of my studies in China and the US, I was keen to gain working experience in a broader range of business topics in an international environment and in-house consulting at Bayer was a great place to do that. About a year ago, I heard that Bayer’s Animal Health division was setting up a global launch team to introduce a completely new product category to the market. At that point, I was still with Business Consulting supporting Bayer CropScience in a global marketing and sales project. I decided to apply for the position as I felt that it was the perfect opportunity for me to take the next step in my career. On the one hand I would be able to build on my experience in marketing and project management, and on the other I would gain new experiences in a more operational role. And on top of all that, you probably don’t get many chances in your career to work on the global launch of such an innovative product. What do you like about working with Animal Health? Animal Health is different. It is a rather small division within Bayer, and I am able to take on a great diversity of tasks and responsibilities from the beginning. I really enjoy this and have already learned a lot. The very open and positive atmosphere makes it easy to get to know people when you join the division. You would find out very quickly that we have a great mix of cultures, professions, and personalities here. In my team for example, I work with colleagues from India, Hungary and Germany. I am the only one in the team not from a veterinarian background and was a little worried about that in the beginning. But as it works out, each of us brings great value by contributing different knowledge and capabilities to the team. Another aspect is that we are the Animal Health division’s first global launch team and we are working on a new technology everybody is excited about. We can feel a lot of entrepreneurial spirit, and this really motivates us. An added bonus is that our Bayer campus in Monheim is a beautiful place to work. At least once a week, I join my colleagues for a lunch break run along the river Rhine, which is right next to the offices. Bayer’s motto is Science For A Better Life – how do you contribute to this? I was immediately fascinated when I first got in contact with the Animal Health division and heard about the new product they were preparing to launch! This new technology really supports the Bayer mission as the product strengthens the natural defence system and thereby helps animals to help themselves. It is a new way to manage infectious diseases, which really makes a difference for our customers. So by contributing to make this product available around the world, I have a task that lives the mission of Bayer. I am grateful to be part of this team. What's your favorite animal? What pet would you get? I thought that this would be a question at my job interview, for sure. And that we all were expected to have pets in order to work for Animal Health! J I don't have a pet, but my girlfriend and I would really love to have one. Each time we visit her parents and play with their Labrador puppy and their cat, we start thinking about it again. Unfortunately, as we both work full-time and travel frequently, it is difficult to take care of a dog or cat. 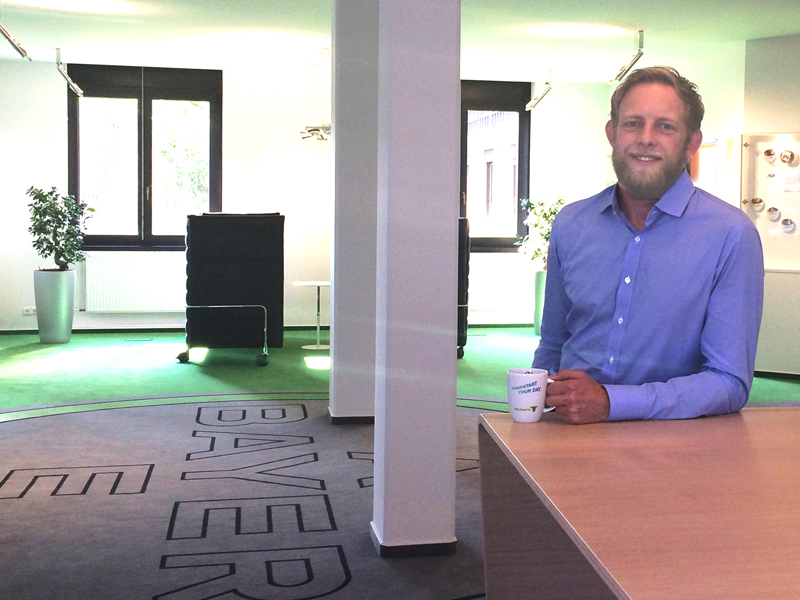 Thank you, Tobias, for sharing the story of your work at Bayer HealthCare Animal Health with us.